It may be incredibly cold here in Montana at the moment. But soon, the spring will come. As we progress into May, June, and July, the weather will heat up and that means it’s thunderstorm time. Here in Billings, those storms very often bring about hail that can do some severe damage. If your house has been hit by hail, it may be time to consider upgrading from asphalt shingles, to a more hail resistant roof made of metal. Here are some things to consider when you put on your forever roof. When you put a metal roof on top of your home, you are upgrading to a much tougher material. By nature the material is able to stand up to wind and hail better than asphalt. If your asphalt roof does suffer from hail damage, the damage is actually on the underside of the shingle. That hail blows out the back, and now water is able to leak through. By upgrading to metal, the hail isn’t able to “blow out the back” of the metal. But that leads us to our next point. Metal can’t withstand larger hail. Some of the hail that damages asphalt shingles won’t put a scuff on the metal roof. Metal won’t suffer catastrophic failure like shingles will. Even hail that is extremely large, hail that dents the metal, won’t cause your roof to leak. It may dent, ding, scuff, and scrape that metal, but it’s not going to poke holes through the metal and cause your roof to leak. If your home is hit by a big hail storm, and the asphalt shingles are busted up and damaged, you have to replace them. Next year, when the next hail storm comes through, will you be replacing the roof again? And the following year? And the following? All the way along until your insurance company won’t renew your policy. Instead, upgrading to a metal roof allows you to avoid that constant roof replacement. Even more so, an asphalt roof will wear out after 20 years or so. Metal roof will last about 60 years. Why aren’t there more metal roofs out there? Because the upfront costs are substantially higher than asphalt shingles. A good rule of thumb is that you can estimate the cost will be roughly double the cost of an asphalt roof. But when you factor in maintenance and replacement costs, you end up spending more on asphalt. Take a look at our analysis for further details. 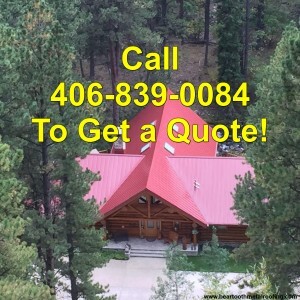 If you’re ready to upgrade to a work of art roof that will last forever, give us a call at 406-839-0084 and we can get you on the schedule. 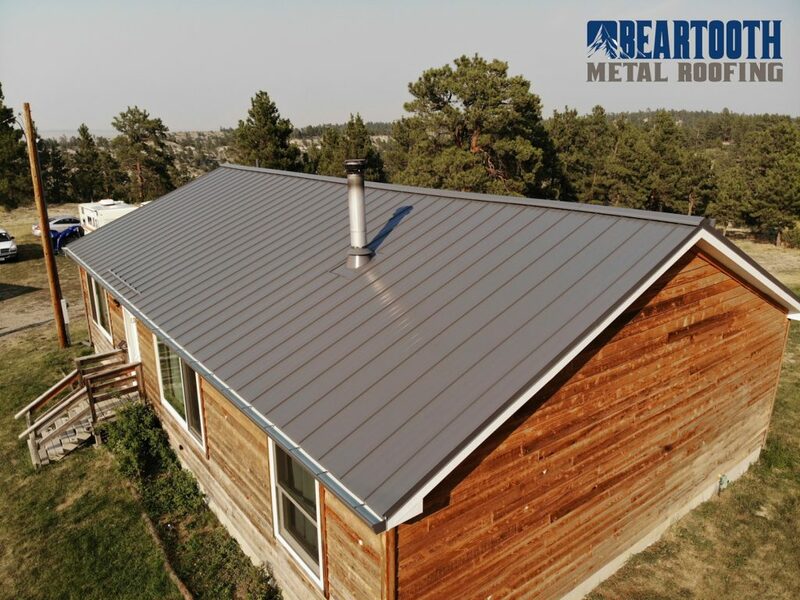 We are a metal roofing company based in Billings, Montana. We work all over the state and even into adjoining states.